When Windows 8 didn't have a 'Start Menu' there was so much fuss that we saw it return with Windows 8.1 (sort of). 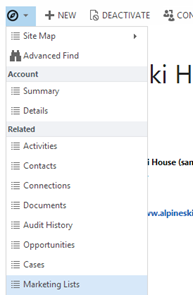 If you miss the navigation style of CRM 2011 you might find my CRM 2013 Start Menu solution very helpful. The solution is a SparkleXRM sample if you are interested – I'm going to do a post soon on the techniques I've used to provide client side metadata caching. Any language resources that are accessible via the SDK will be automatically used but the resources in the sitemap are not all accessible to code and so if you want to provide translations you just add a new web resource with the name - /dev1_/js/QuickNavigationResources_LCID.js. You can use the QuickNavigationResources_1033.js one as a template to translate. If you do create a translation, please let me know so we can add it to the solution. When a user doesn't have access to some elements of the sitemap, the links are removed, but if all subareas are removed, the parent group isn't. Thanks to Jukka Niiranen, Damian Sinay & Mitch Milam for testing and feedback. 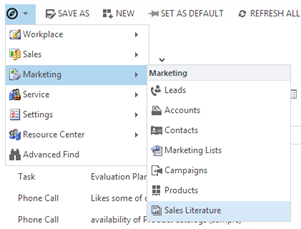 What tools do you need as a Dynamics CRM Developer?